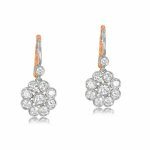 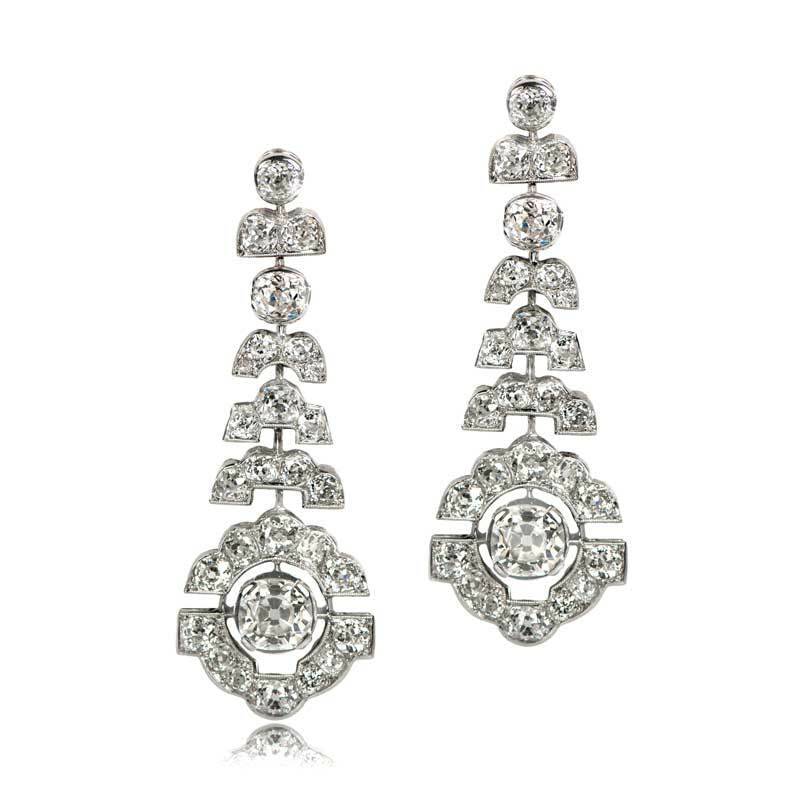 A very rare pair of fine Art Deco Earrings, adorned with stunning old mine cut diamonds and set in a handmade platinum mounting. 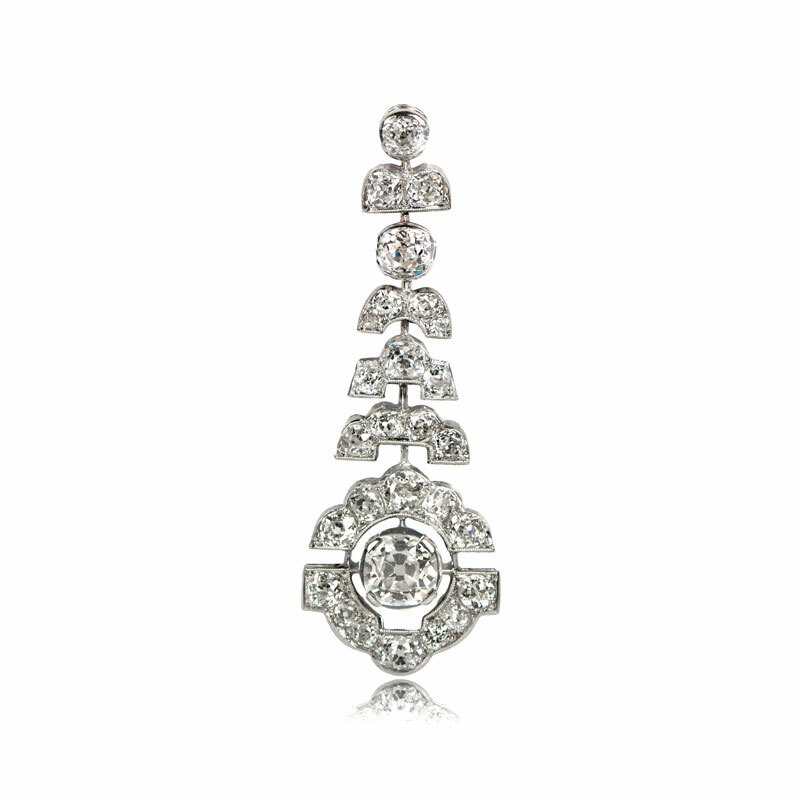 The graduating steps lead to a larger diamond at the bottom that is surrounded by a lower and higher curve. 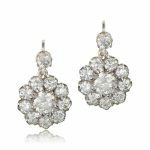 SKU: 10968 Category: Vintage Earrings - Contact us and request additional pictures.